The Montreux URComfort® Cushion Collection harmonizes with the movement of your body to find the most comfortable position. Utilizing multiple pivot points and allowing movement of both back and seat, the Montreux URComfort® Cushion Collection promises relaxation. 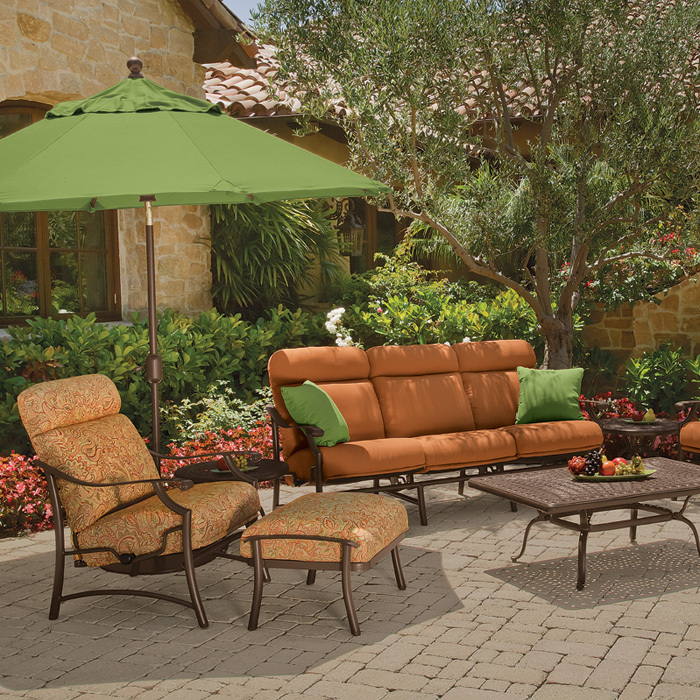 Designed by Peter Homestead, the Montreux URComfort® Cushion Outdoor Furniture is sturdy, stylish, and delivers deep cushioning. Get the most from outdoor patio furniture by pairing Montreux Cushion pieces with coordinating outdoor Tropitone® Tables under a Basta Sole® Market Umbrella.